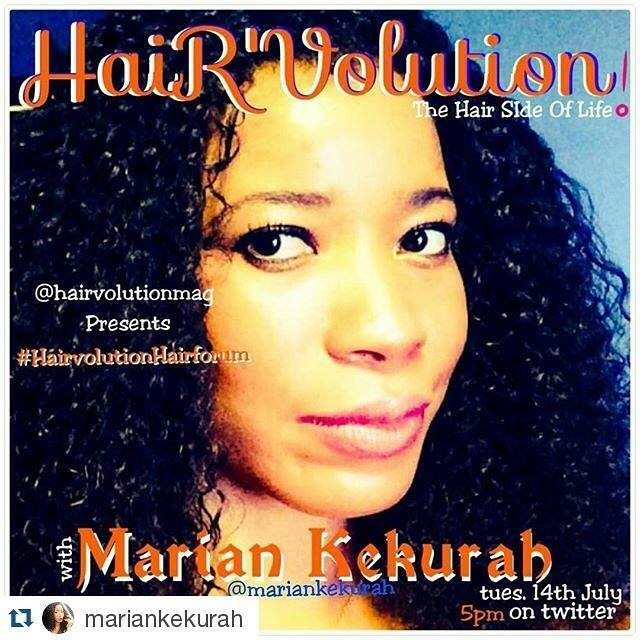 MARIAN KEKURAH - HAIR IS SO MUCH MORE THAN JUST A LOOK. IT CAN BE A REFLECTION OF WHO YOU ARE. Q: Can you give us the names of some movies you have featured in? Q: Take us down memory lane. What hairstyles did you rock as a kid? Q: Can you remember some of the hairstyles in vogue then? 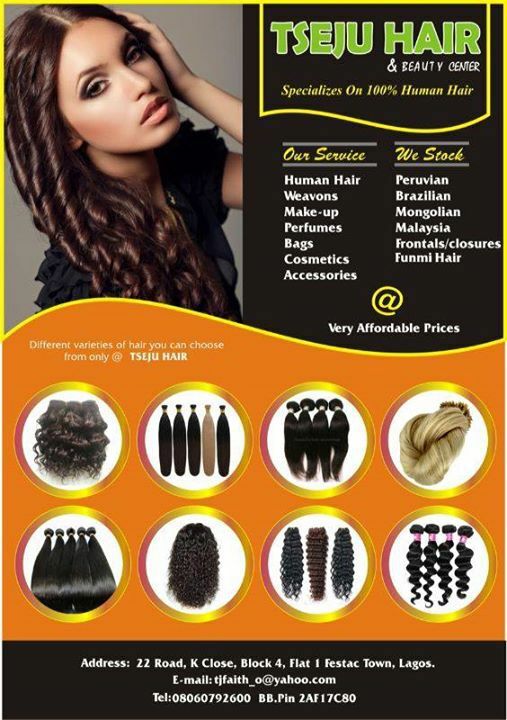 Q: Tell us more about Sierra Leoneans hairstyles worn by female? A: To be honest now our days all women wear the same kinds of hairstyles, the Brazilian weave, lace wigs etc hahaha. We don’t have any particular hairstyles at all. Q: What of their hair texture, is it the same as Nigerians? A: Precisely so, we are all Africans and when I say Africans we were all born with different hair textures. Q: In your own opinion, give us a brief on British hair and hairstyles? A: British people have European texture hair, but now our days most women wear all types of hair. Q: As an actress how important is your hair to your profession? A: Very important, because we are constantly in different scenes. Q: Lets us into your hair regimen.. How regularly do you visit the salon? A: I will say once a month to get my hair steamed or treat to keep it healthy, but I have different styles of wigs. I have different wigs that I used on a regular basis. Q: What is the highest amount you have spent on hair? A: Well let us just say its costly lool. Q: What’s your natural hair like? A: Have got good hair all thanks to my dad, I mostly rock my natural hair now. Q: Can you tell us some of the different styles. Lol. We know u have a cute pixie? A: I have curly, straight long weave, short lace front hair it all just depends on my mood that day. Q: How regular do you leave it natural? A: If am not on set shooting, I will be rocking my own hair most of the time now. Q: When u partake in movies most times, who does your hair? A: I normally do it myself because am very particular about my hair. Q: Do you have any of them coloured? A: No not at all, I do more of black and brown not into bright hair so much. A: I will never put a price on it. Q: Tell us the strangest thing you have had to do to protect your hair? Q: Stranded on an island, which hair product can you not do without? A: The brand is called Designer touch or Motions, that’s all I use at the moment. Q: According to their hairstyles, which of these men would you kiss, date, marry and pass. Terry G, Sir Uti, Banky W, Daddy Showkey? A: Well, I would avoid Daddy Showkey, kiss Terry G, date Banky W, and marry Sir Uti. Q: Before we let you go, what does hair mean to you? A: To me, hair is so much more than just a look. It can be a reflection and re-enforcement of who you are. Q: Finally, what would you say to all your fans out there? 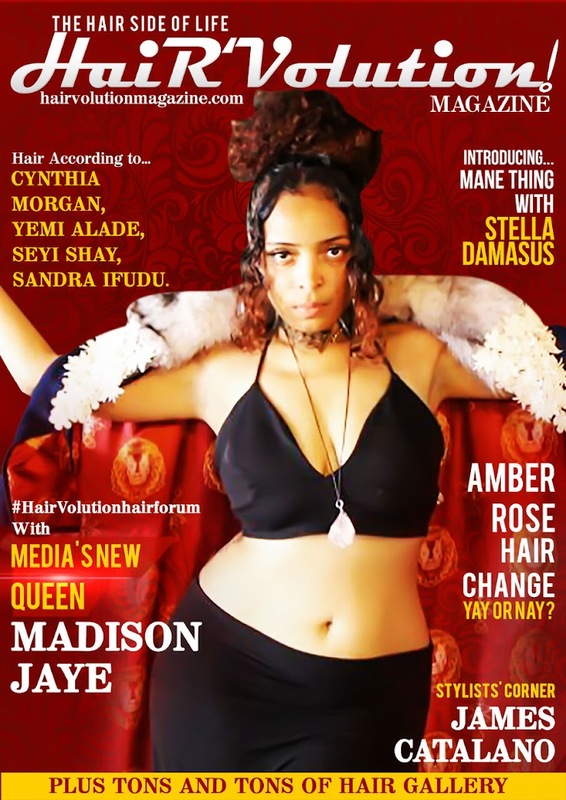 To us at Hair’volution magazine and to everyone who has participated today? A: Firstly, thanks a lot Hair’volution for having me. And thanks to every one who participated, I appreciate the love.